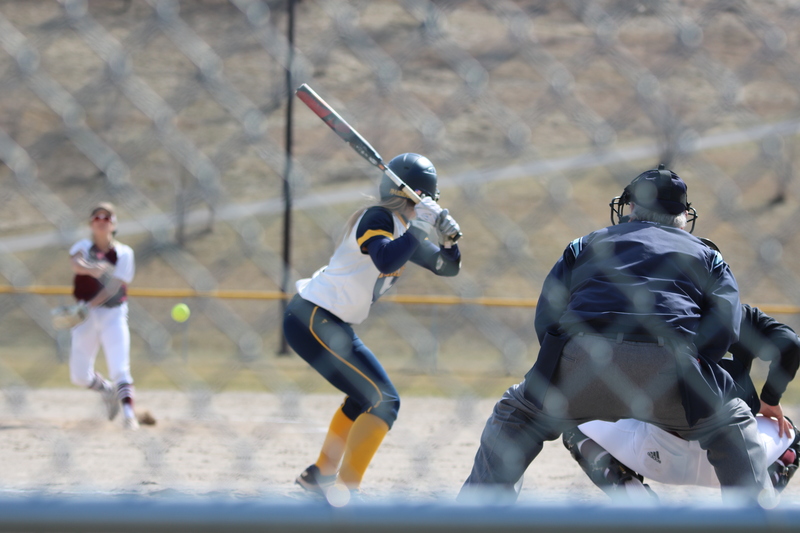 The Grand Rapids Community College softball team split their double-header against the Kalamazoo Valley Community College Cougars on Tuesday at Belknap Park winning the first 8-7, and dropping the second 14-1. In the first game, both the Raiders and the Cougars went two innings without seeing a score on the board. Things started to pick up, however, when Rachael Pijaszek of the Cougars scored a run for her team to put them on top of the Raiders 1-0 heading into the fourth. The Cougars then opened up the fourth inning with an explosive home run by Nicolle Larsen. The Raiders answered with their first score coming from Andi Chipman crossing the plate on a Mackenzie North RBI. Coming into the fifth inning the Cougars didn’t score, but the Raiders took the lead 4-2 after Sierra Stoepker hit a fly ball that was dropped letting Aaron Kietzman and Larsen cross the plate. While the Raiders saw a glimpse of a lead in the bottom of the fourth, it didn’t last very long as the Cougars answered with five runs in the top of the fifth. The Raiders clearly didn’t take lightly to the now 7-4 deficit. They came out and quickly scored two runs courtesy of a couple Cougar throwing errors and another RBI by Kietzman. Tied 7-7 going into the seventh inning, both teams failed to score bringing them into an extra eighth inning. The Cougars didn’t score again in the top of the eight leaving it up to the Raiders to close out the game. With two outs, Stoepker was up to bat. With two strikes, her fellow teammates in the dugout began to cheer for her as she singled to right-center knocking in the game-winning run and giving the Raiders an 8-7 walk-off win. Taylor Goorhouse talked about how the team stayed engaged and encouraged each other even when they were trailing. \Jumping into the second game, the Cougars came out in the top of the first inning and seized a 4-0 lead coming from a score by Cassidy Miller from a passed ball, May Jo Tavernier double to left field that allowed Larsen and Kayla Yore to make it home. Tavernier eventually made it home as well. The Cougars kept the scores coming with one in the top of the second by Miller, and nine more by what seemed like the entire team in the top of the third. The Raiders only answer to the 14-0 deficit was a run scored by Stephanie Kruskie following an RBI single up the middle by Stoepker in the bottom of the third. The game continued with no additional scores from either team in the next two innings resulting in a 14-1, five inning loss for the Raiders. The Raiders sit at 4-6 in Michigan Community College Athletic Association play and are 4-14-1 overall. 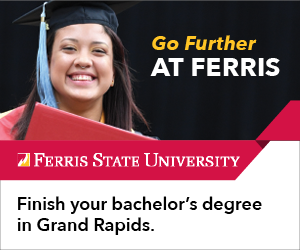 The Raiders return home on Tuesday, April 16 when they’ll welcome the Glen Oaks Community College Vikings for a double-header at Belknap Park in Grand Rapids starting at 3 p.m.